Crawford County has lost a landmark with the recent fire of the 1930 Luke B. Carter mansion, known as Oakwood Farm, on the Hydetown Road just west of Titusville. Its builder was significant. 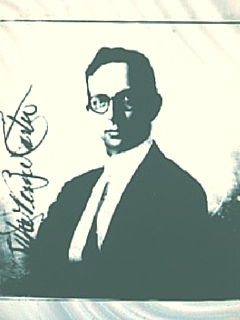 Luke B. Carter (1876-1940) was the younger son of the four Carter children who survived infancy. 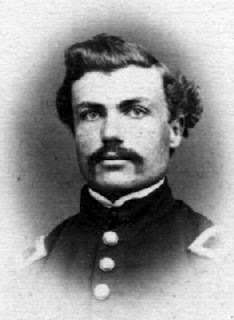 His father, John J. Carter (1842-1917) was as a Medal of Honor winner in the Civil War. He lived the typical Horatio Alger story: his parents died in Ireland, leaving him a penniless orphan, his sister brought him to the United States, but could not afford to support him; but he established a successful haberdashery in Titusville in the 1870’s, and invested his profits in the oil business. His Carter Oil Company was a spectacular success, and became a part of Standard Oil. After his father’s death, Luke Carter gave up a career with the oil company, bought out the other heirs, and became a dairy farmer at Oakwood. He raised blooded Jersey cattle, and in 1921, improved his herd with a world-famous bull, “Blonde’s Golden Oxford,” purchased from the B. H. Bull & Son farm in Brampton, Ontario. Carter built new brick barns to house his cattle and dairy, spent the rest of his career building his “Blonde” herd, and gave young bulls to the Pennsylvania State College experimental station, as well as missions in India and China. Luke Carter was also involved in community work. He was chairman of the Titusville Red Cross during World War I, a founder of the Titusville Chamber of Commerce in 1917, a stockholder and director of the Titusville Trust Company, and president of the board of the Titusville Hospital. He was a founder of the Titusville Rotary Club, one of the early advocates of good roads, a director of the American Jersey Cattle Club, and an avid golfer. Carter and his wife divorced, and he married a young widow, Beatrice Candee (Stevens) Emerson, on 10 Oct. 1929. They divided their time between New York City and an apartment on West Elm Street in Titusville, but in May of 1930, they announced plans to build a 15-room mansion in the grove at Oakwood Farm. It was designed by Prentice Sanger (1881-1964) of New York City, and the contractor was Harry Wimer, Inc. of Butler, who had recently built the home of oilman Thomas W. Phillips, Jr. there. The Crawford County Jersey Cattle Club held their annual picnic at Oakwood that June, and the 100 guests toured the barns and inspected the new house foundations. John and Beth Carter divorced. 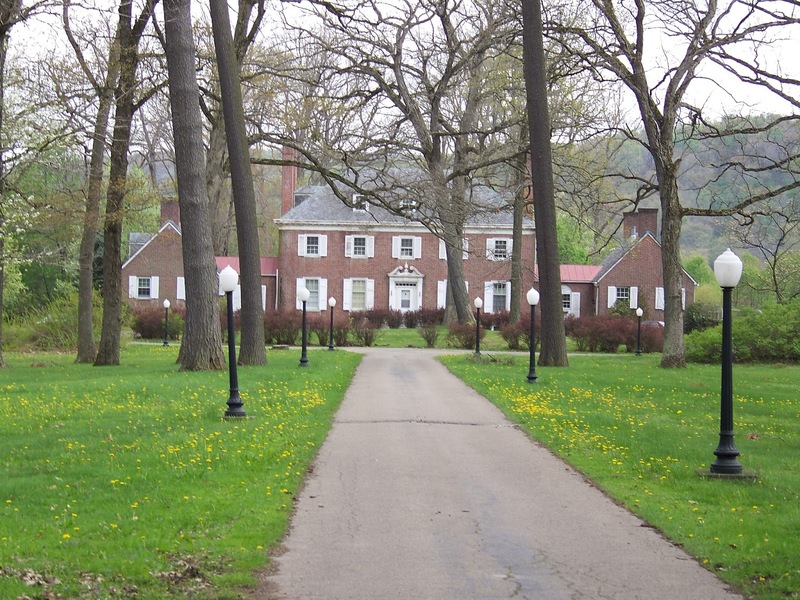 For a time, it appeared Oakwood Farm would be saved by Eric and Greta Heckett, Dutch millionaires who had immigrated to the United States in 1939, and who owned a patent for reclaiming steel scrap, which they managed from offices in Cleveland, OH, and Butler, PA. They bought 300 acres of the Carter property, and took a long lease on Oakwood Farm, the barns and the mansion. There they raised blooded Aberdeen Angus beef cattle, and operated “the farm on a scale as large or larger than Mr. Carter ever did.” The Hecketts had hoped to buy the farm, but were “unable to negotiate a purchase,” so they sold their 300 acres, moved out of the mansion, and relocated to southern Butler County in 1944. Beth (McCafferty) Carter assumed the Oakwood Farm mortgage on 13 Aug. 1940, only a month after Luke Carter’s death. John J. Carter 2nd married 15 Dec. 1944, Joan (Blair) Hoye, and his former wife, Beth, purchased the farm from Beatrice S. Carter and the Luke Carter estate on 6 July 1944. The farm fell into disrepair after the Hecketts left, and by 1946, Beth had married Dr. Tracy J. Putnam of Hollywood, CA, so she sold the property for $60,000 to the Saukline Real Estate Corporation of New York City. 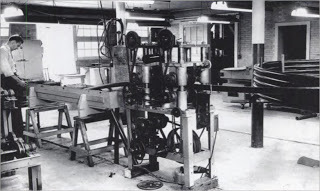 The purchaser in 1947, Noel J. Poux, operated a tool and die shop, Skyline Industries, in Luke Carter’s brick barns, which were more than adequate for human occupation, and Poux converted the mansion into apartments. Oakwood was purchased from the Poux family in 1987 by George and Leona Vukmer, who sold it in 1990 to Hasbrouck Sand & Gravel, and the Hasbroucks salvaged elements and then demolished the house in November, 2015. 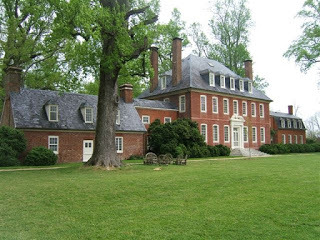 The mansion was in the Georgian style, closely modeled on 18th century James River plantation houses in Virginia. It was two stories tall, entirely of rose brick, laid in Flemish bond, with dormers on the high slate roof covering a full third floor. The main building was 34′ by 60′ and was linked on either side to two lower wings, each 22′ by 35′, and there were 14 rooms on the first floor and 8 on the second. A broad center hallway bisected the house, with a curved staircase at the far end. The only elaborate exterior woodwork was the front door, which was flanked by pilasters and topped with a broken scroll pediment, and the landing window in the rear over the porch, which had a pedimented frame as well. It was the last of the great mansions built by Titusville oil barons, a trend extinguished by the deepening depression. The architect, [Walter] Prentice Sanger, was born on 14 Aug. 1881, in Newport, RI, the son of Maj. Gen. Joseph Prentice Sanger and his wife, Frances Kent. He attended Groton School, and graduated from Harvard College in 1905, remaining for an additional two years studying landscape architecture. In 1907, he entered the office of a landscape architect in New York City, then opened his own firm in 1908. He did some city planning for San Juan, Puerto Rico, in 1910, and designed worker’s housing in Akron, OH, in 1917. He characterized his work as consisting entirely of private houses and estates, some of which were projects costing $500,000, though he said his largest project in the decade 1930-40 was $75,000. Lists of his buildings are harder to come by. He designed a country house for the Bolton family in Lyndhurst, OH, in 1914, and did some work at their Florida vacation home. He also enlarged a country house for the Hay family in Newbury, NH the next year. Obviously he had a suave mastery of the colonial style, adapting it to 20th century comforts. See a photo gallery of the Carter Mansion prior to the fire. William Moore, Esq., is an attorney, local historian, and member of the board of directors of the Crawford County Historical Society. He has an affinity for architectural history, historic preservation, and genealogy, and he co-authored the Images of America book, Meadville. He currently resides in Meadville, Pennsylvania. PA Death Certif. 1914-110577; Titusville Herald, 6 Nov. 1914. Crawford Co. Deed Book 208, p. 364. Emerson had assembled the parcel between 1889 and 1911. Crawford Co. Deed Book 210, pp. 477, 480; DB 215, p. 81. Titusville Herald, 18 Apr. 1945. Titusville Herald, 8, 9 July 1940. She was the daughter of Frederick H. & Louise (Candee) Stevens of Bridgeport, CT [see 1900 U.S. census, 4th Wd., Bridgeport, Fairfield Co., CT, #293/241; 1249 Fairfield Ave.] and the widow of Charles Francis Emerson, Jr., (1898-1927) of Titusville and New Haven, CT. [see Titusville Herald, 14 Feb. 1927] He was a grandson of E. O. Emerson, the original owner of Oakwood Farm. Titusville Herald, 28 May 1930. Titusville Herald, 27 May 1930. Mrs. Phillips was Alma Sherman of Titusville. Titusville Herald, 30 Jan. 1931. Titusville Herald, 2 Feb. 1931. Bradford Era, 14 May 1934. The report of the debt indicated the mortgage was assumed by the younger Carters on 2 Oct. 1931, but that cannot be true since they were not yet married. [Titusville Herald, 31 Aug. 1946] DB 316, p. 415 said 1927, which is also wrong. Possibly 1937? 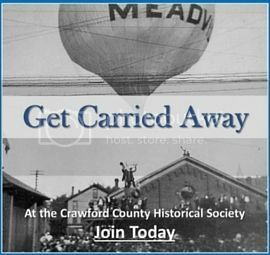 1940 U.S. census, Oil Creek Twp., Crawford Co., PA, #163, Spring St.
 Will of Luke B. Carter, 23 Nov. 1937, Crawford Co. Will Book Z, p. 162. He said he had amply provided for his son in a separate trust. Titusville Herald, 30 Oct. 1940. Titusville Herald, 13 Mar. 1942. Titusville Herald, 15 May 1944. Mrs. Heckett died in 1976 and her art collection was auctioned by Sotheby’s. [Titusville Herald, 11 Oct. 1977] The estate probably could not sell the property for less than was owed on Beth’s mortgage, so that may be why it ended up selling it to Beth, who then sold it for $60,000. Titusville Herald, 19 Dec. 1944. Skyline also made plastic tubing used in making hula hoops. See David L. Weber, “Hula Hoops Put a New Spin on Titusville,” in Stella Ruggiero, ed., The Streets that Call Your Name: The Fifties in Titusville, Titusville, PA: 2012, pp. 8-10. Titusville Herald, 11 Oct. 1977. Crawford County Deed Book 521, p. 939; Crawford County Record Book 29, p. 84, Book 87, p. 298; Book 418, p. 970. Hasbrouck Sand & Gravel transferred the title to Hasbrouck Land Co. in 1998. The AIA Historical Directory of American Architects, wiki pages, ahd1039123; membership application in online American Institute of Architects Archives; American Architects Directory, 2nd ed., 1962, p. 612; The Grotonian, Vol. 24, p. 275 (1907); Harvard College Class of 1905, Fourth Report, Norwood, MA: 1920, pp. 277-278.